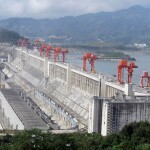 The Yangtze River, China’s largest and the world’s third longest, was scheduled to have its gorge dammed in 2009 for flood control and power generation. We wanted to see the gorge before it became a lake. Our cruise started well below the Three Gorges dam in Wuhan in 2002, a 600-mile plane ride out of Shanghai, and terminated upstream in Chongqing. Our fourth day of cruising up-steam was converted, because of low water levels, to a day-long bus ride along the high mountains in areas where tourists rarely stray. Entire cities and much farm land was being evacuated to prepare for the last days. 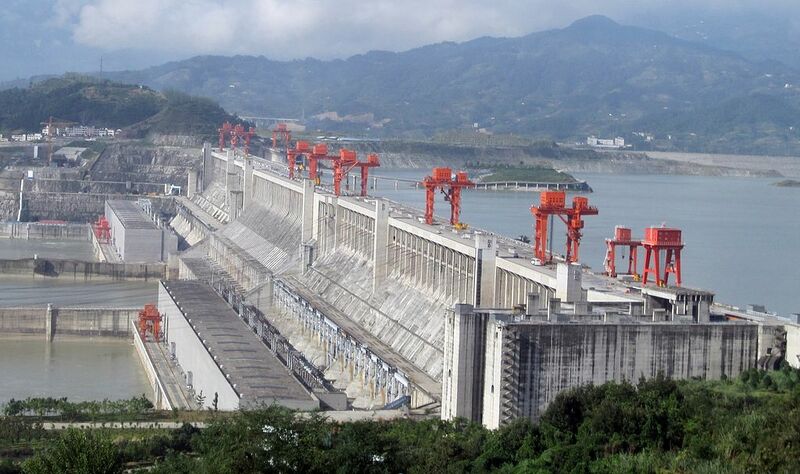 Because of the great diversity along this four day route, the trip is divided into four parts, the Yangtze River: Below the Dam, Yangtze River: Above the Dam, Three Gorges Dam 2002, and China’s Workers. Each part, for different reasons, presents a vastly different view on the ways the lives will change, or not. 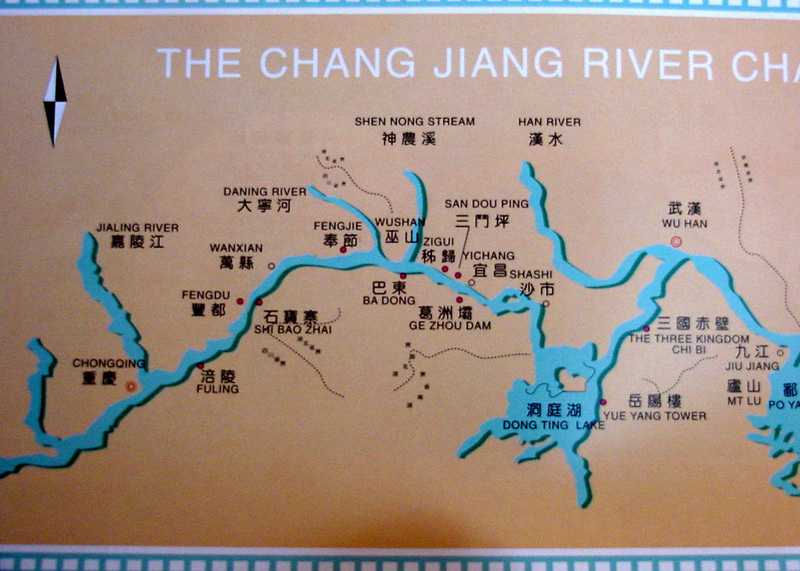 The completed dam (near San Dou Ping) and map of the trip are shown below.